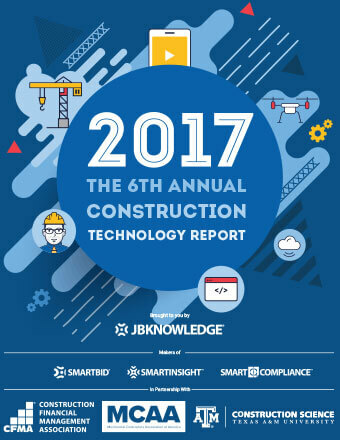 For the third consecutive year, MCAA has sponsored the JBKnowledge Construction Technology Report, offering MCAA members salient insight on the technology habits of today’s contractors. On Tuesday, January 30, James Benham, CEO of JBKnowledge will present a live webinar showcasing the reports findings and providing further insight to its data. This webinar will be provided as a free benefit to MCAA member. The report is already available for download in advance of the webinar. Did you Miss our Webinar on the BIM Software Analysis Report?